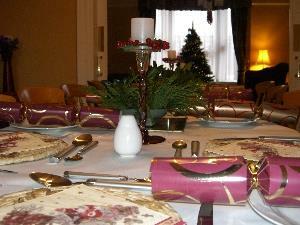 Trinity Guest House is located in the heart of the historic town of Beverley in East Yorkshire. It is a 4* bed and breakfast which boasts character and charm with the original features of a Victorian house. The family run business offers a warm atmosphere and clean, well presented rooms. We are in an ideal location for public transport to Hull, York, and East coast resorts. All local attractions are within walking distances, including Beverley Minster, The Westwood, Racecourse, North Bar and the historic town itself. Guests can expect a comfortable stay, as well as complimentary tea, coffee, water, and biscuits in each room as well as flat screen TVs with free view and DVD. Wi-fi access also available, free of charge. Cyclists welcome. Price per night per room including a Full English/continental breakfast £40 - £100. Facilities for children: Cot, high chair. Children welcome from any age. Follow B1230 to Beverley. Trinity Guest House is directly opposite Beverley Railway Station. Trinity Guest House is directly opposite Beverley Railway Station.